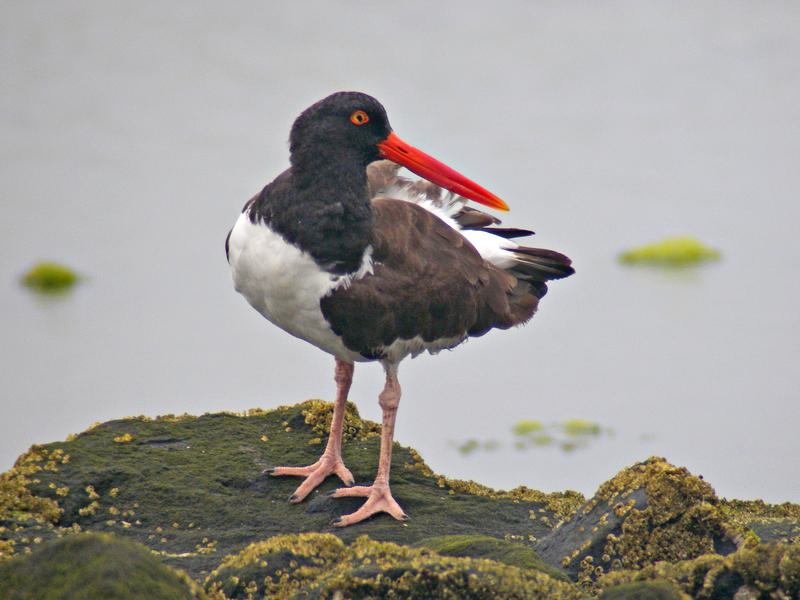 The yellow iris of Oystercatchers often appears to have a pupil that is not round, but this actually results from a black mark on the iris at the 5-o'clock position, seen more prominently in the female, as here. May be used by others for non-commercial purposes only. Attribution required.